We recently shared a whole bunch of patch pocket inspiration here on the blog. 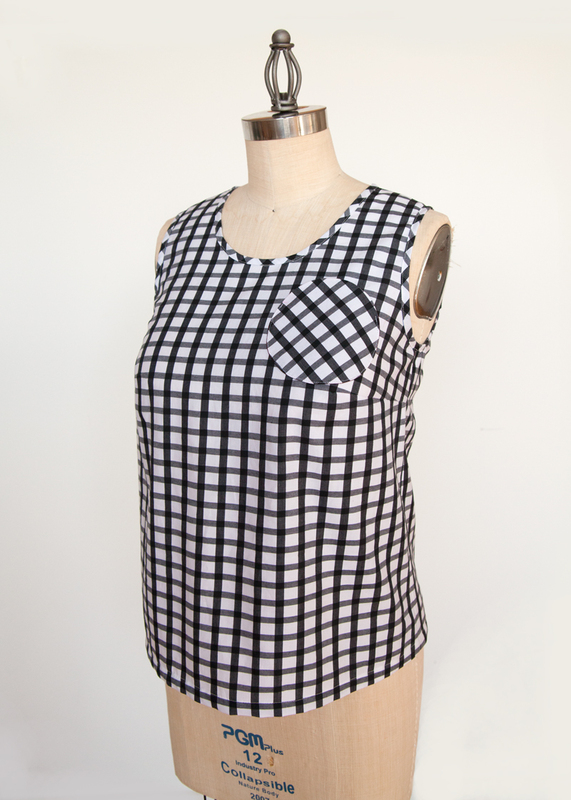 Adding pockets is a perfect way to change the look of a garment without having to spend too much time altering pattern pieces. 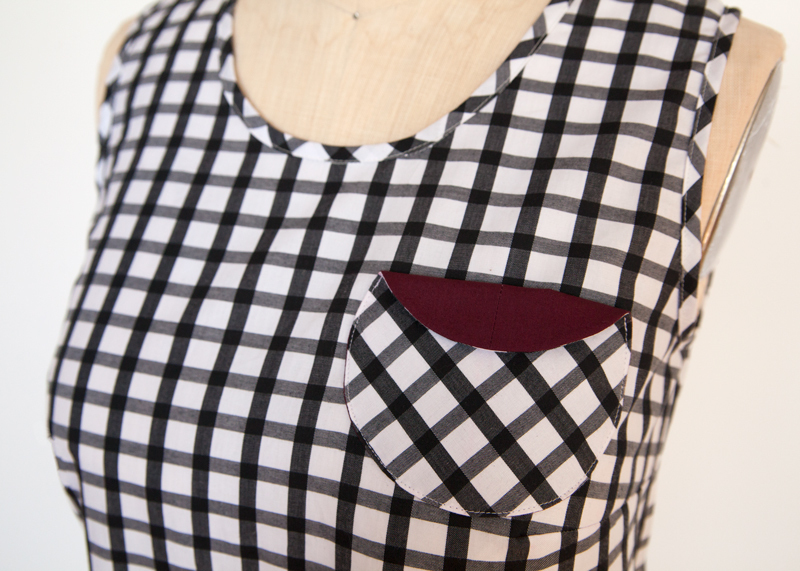 This week, we made a New Sorbetto with a circular patch pocket. Read on to see how the pocket is constructed, and learn some helpful tips and tricks if you want to add a similar pocket to your garment. 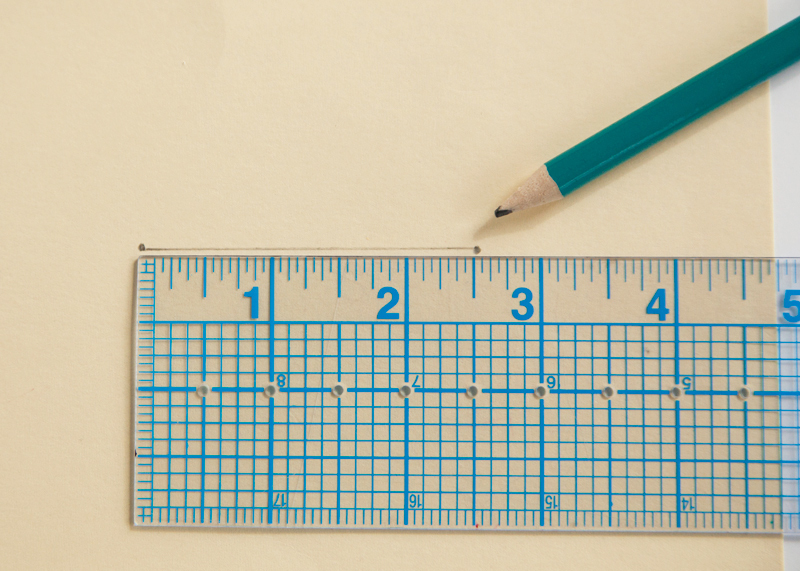 1) Start by drawing a line that is 2 1/2” long on your tagboard. Mark each end of the line with a dot. We will call this the center line. 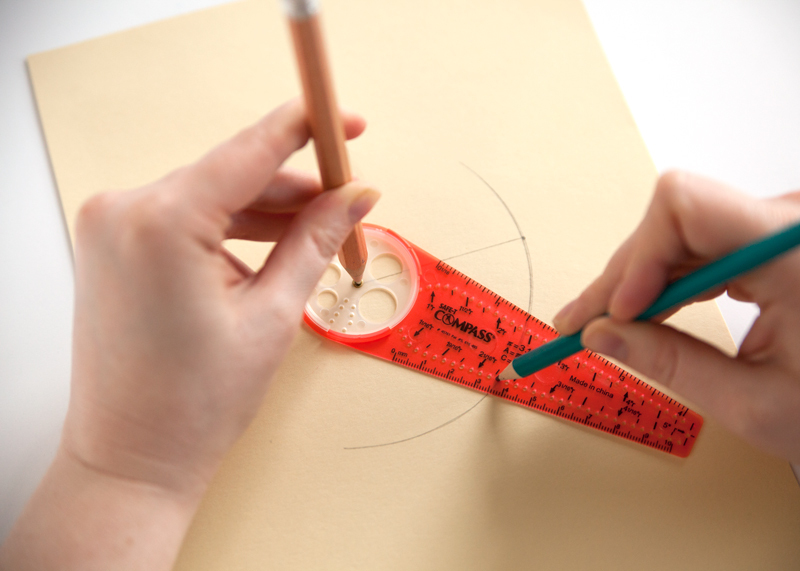 2) Place the center of your compass on one dot and the pencil on the opposite dot. Rotate the compass to draw a perfect circle. This technique will form a 5” circle. 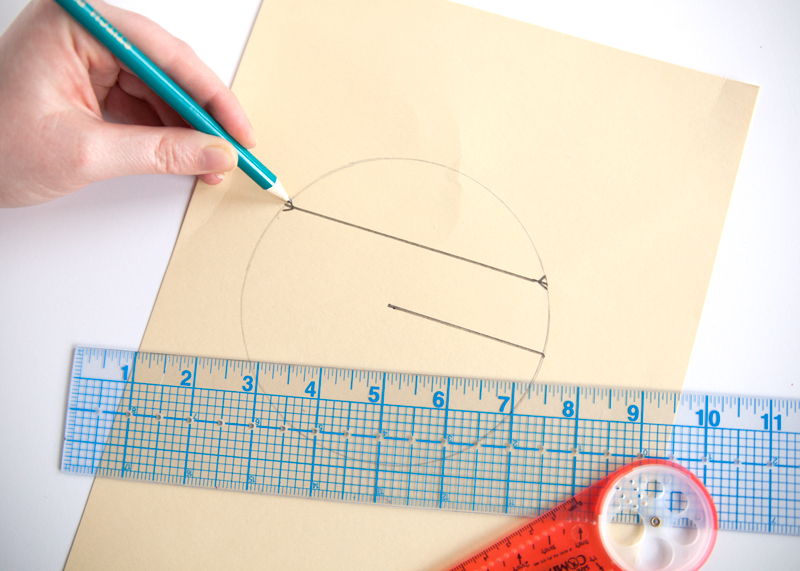 3) Draw a line 1” above, and parallel to, the center line. Draw a notch where this new line meets the circle. These notches indicate where to start and stop edgestitching during construction. This is your pocket pattern. 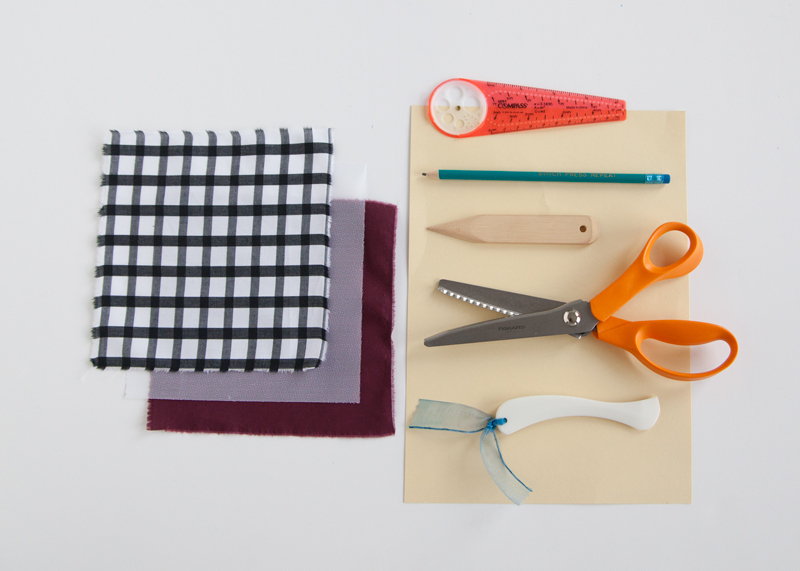 4) Repeat steps 1-3 to create your pocket lining pattern. 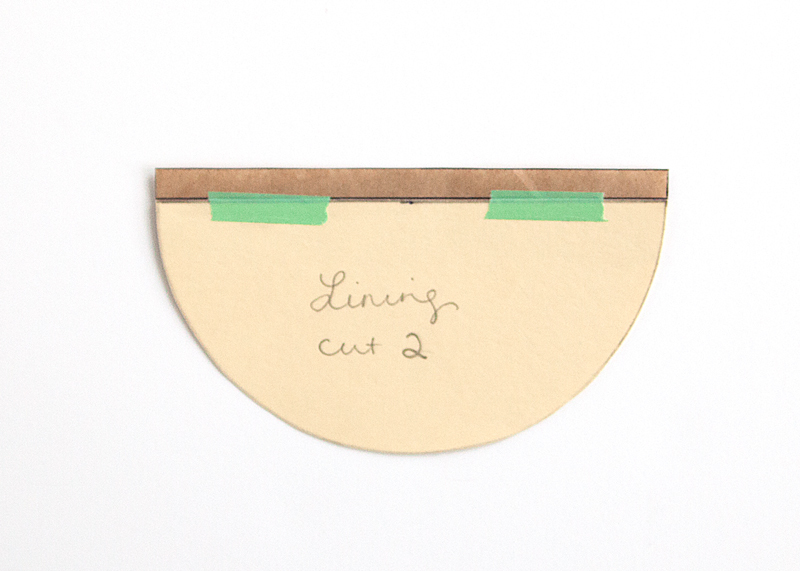 Cut down the center line of the pattern, and discard one of the half-circles. 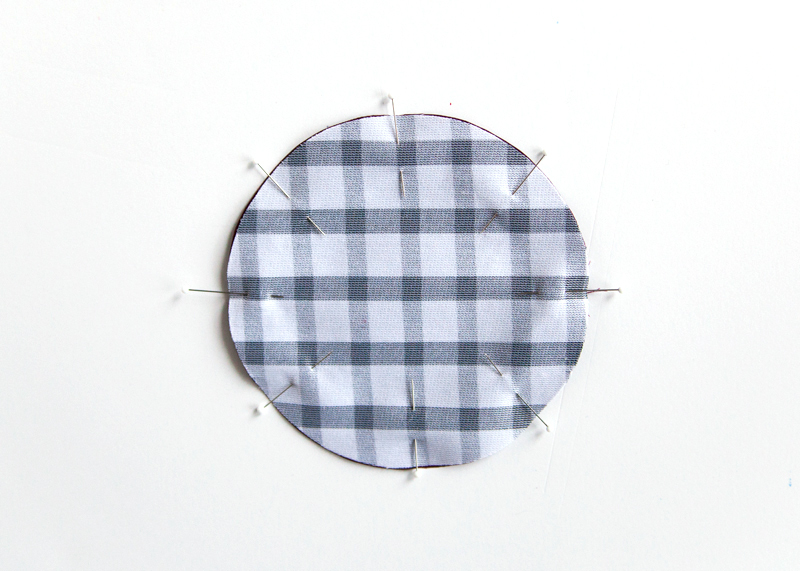 Add a 1/4” seam allowance to the remaining half-circle, along the cut line. This is your pocket lining pattern. 5) Cut one pocket piece from the main fabric. Transfer the notch markings to the right side of the main pocket piece in order to reference them when edgestitching the pocket in place. 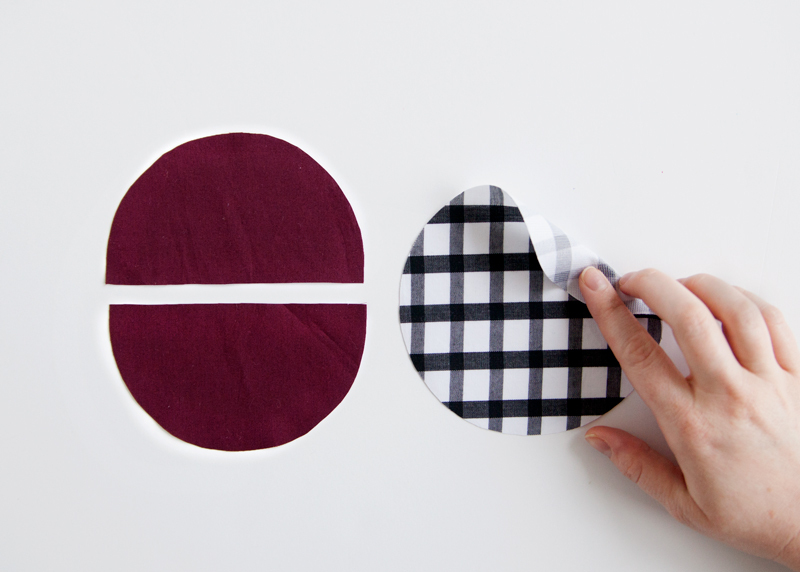 Cut two half-circle pattern pieces from your lining fabric. Fuse lightweight fusible interfacing to the wrong side of the pocket. 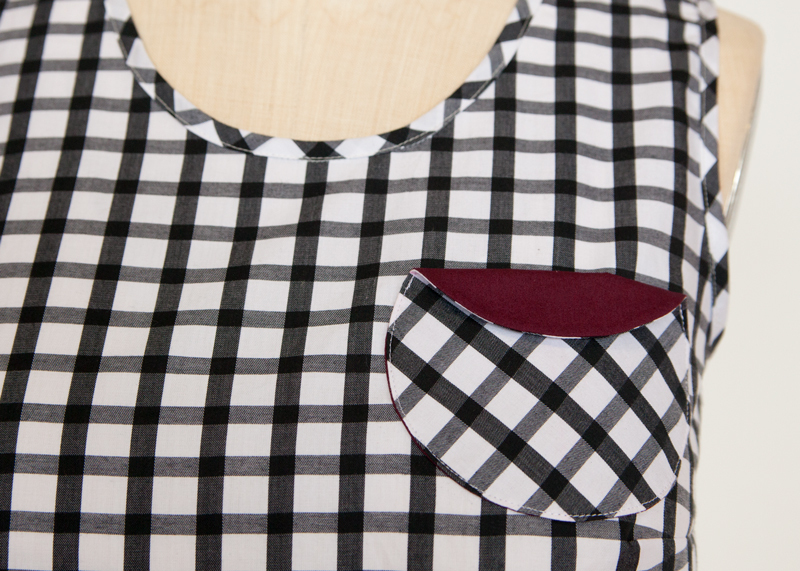 6) With right sides together, align the straight edges of the pocket lining pieces. Pin. 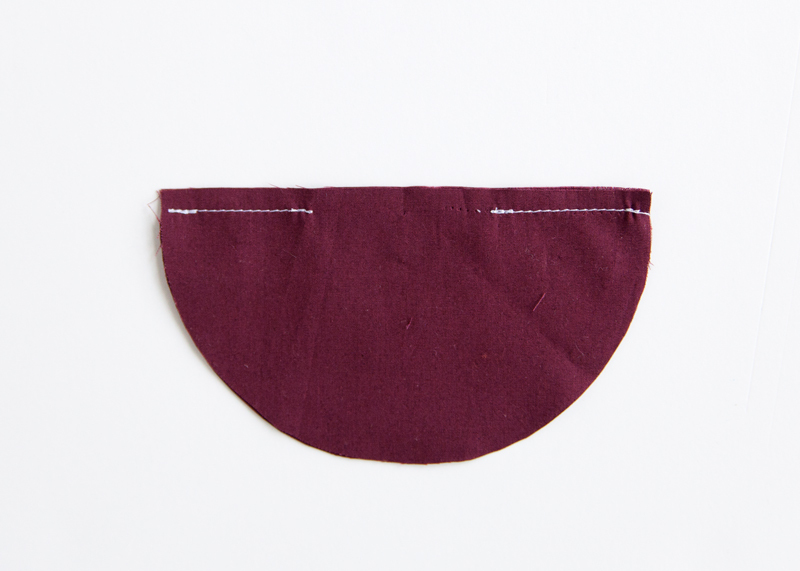 7) Sew the straight edges of the pocket lining pieces at a 1/4” seam allowance, leaving a small opening in the middle of your stitching line, for turning your pocket right side out. 8) Press this seam open. 9) With right sides together, match the pocket and pocket lining. Pin around the entire circumference of the circle. 10) Sew the pocket to the pocket lining at a 1/4” seam allowance. Press. 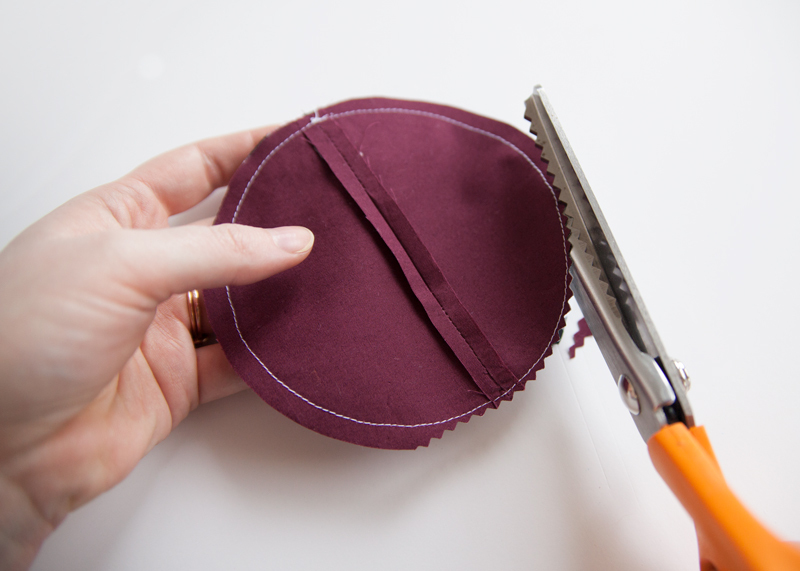 11) Use pinking shears to trim away the seam allowance of the pocket, cutting very close to the stitching line. Using pinking shears ensures that the clipping of the curves is consistent, which helps create a perfect circle when pressing. 12) On the lining side, trace the stitching line with a hera marker. 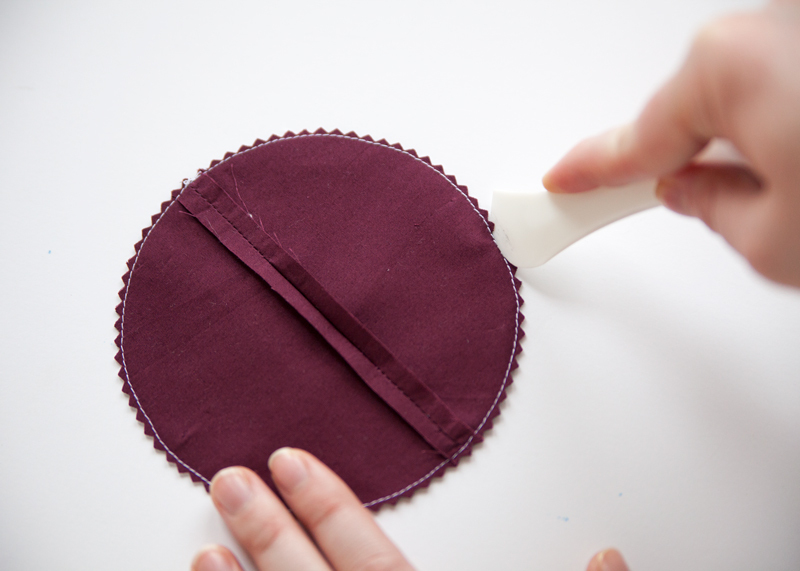 This technique will also aid in creating a perfect circle when pressing. 13) Turn the pocket right side out through the small opening in the pocket lining. 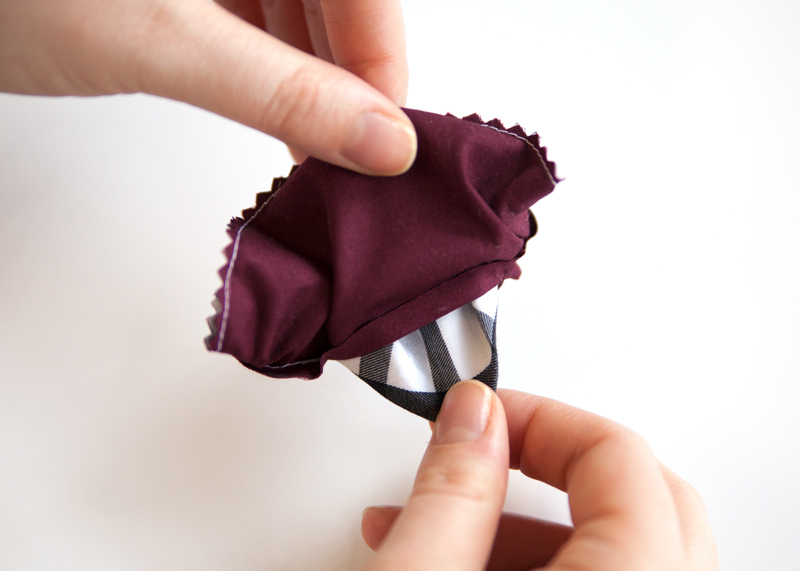 14) Press the pocket flat. If you are having trouble turning the seams, use a point turner. 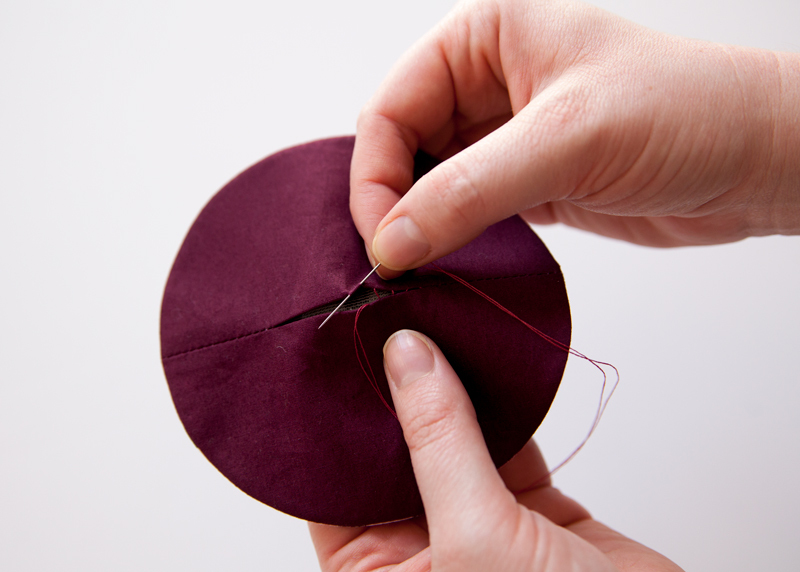 15) Close the opening in the lining with a blind stitch in a matching color thread. 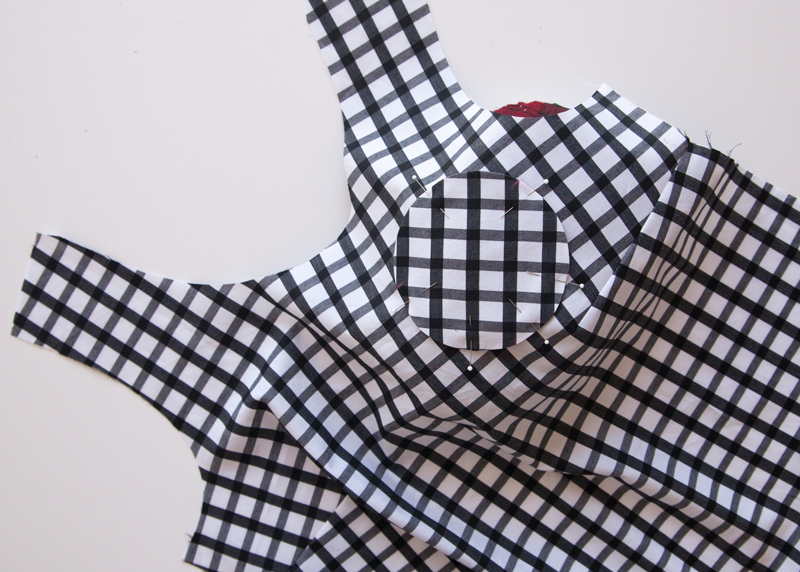 Follow the pattern instructions to cut out all the necessary pieces for version 1, without the front pleat. Staystitch and sew darts on the front bodice. 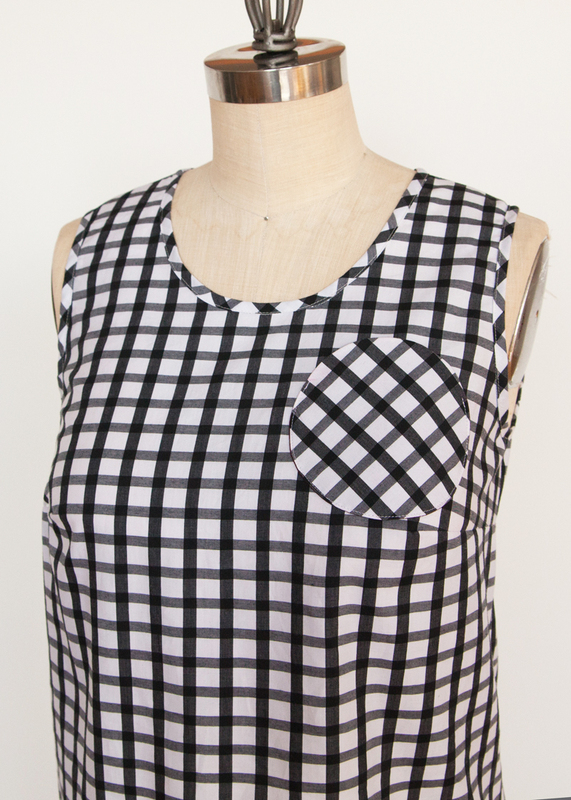 This pocket may be added to any version of the Sorbetto top, yet looks best when the center front pleat is omitted. 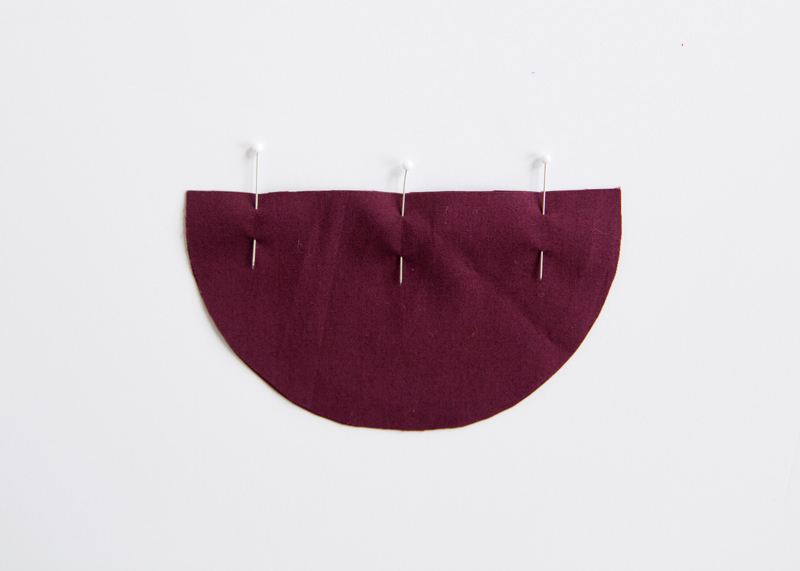 1) Because the bust darts add a rounded shape to the fabric, place the front bodice over a pressing ham or another curved surface to determine the pocket placement. Remember that the side seams will lose 5/8″ when they are sewn. Pin the pocket in place. 2) Edgestitch the pocket in place from notch to notch, backstitching at each end to reinforce the stitching. Press. 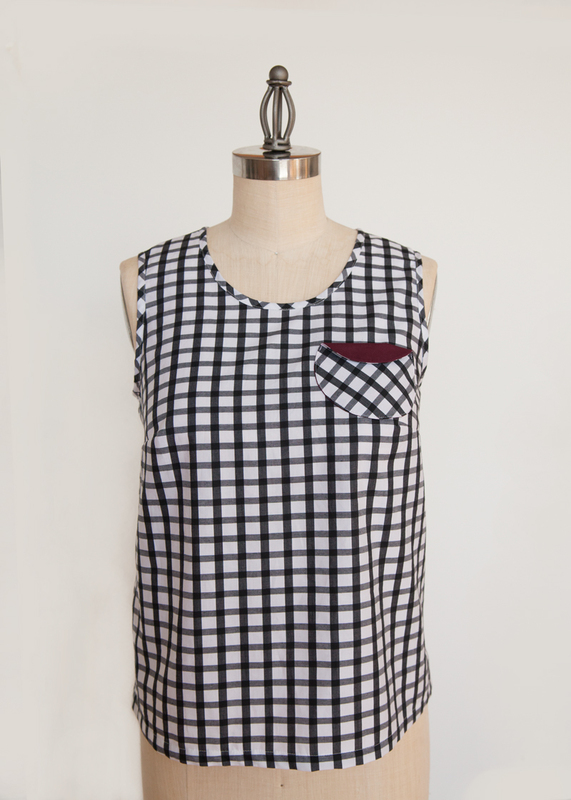 We played with the direction of the plaid and placed the pocket on the diagonal. Get creative with the directionality and placement of your pockets. Try a few different options before settling on your final pocket placement. When attaching your pocket, use an edgestitching foot. This presser foot will keep a consistent distance between your pocket edge and stitching line. 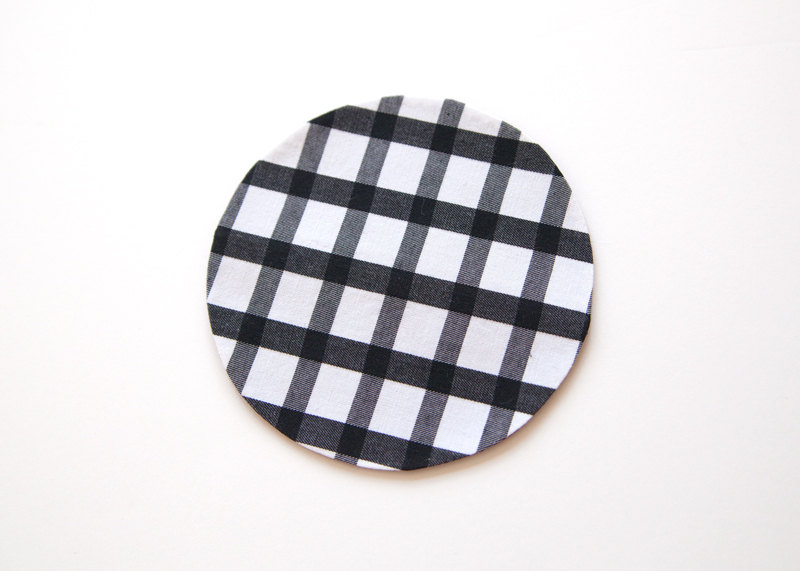 Use this technique to create patch pockets for skirts or pants as well. 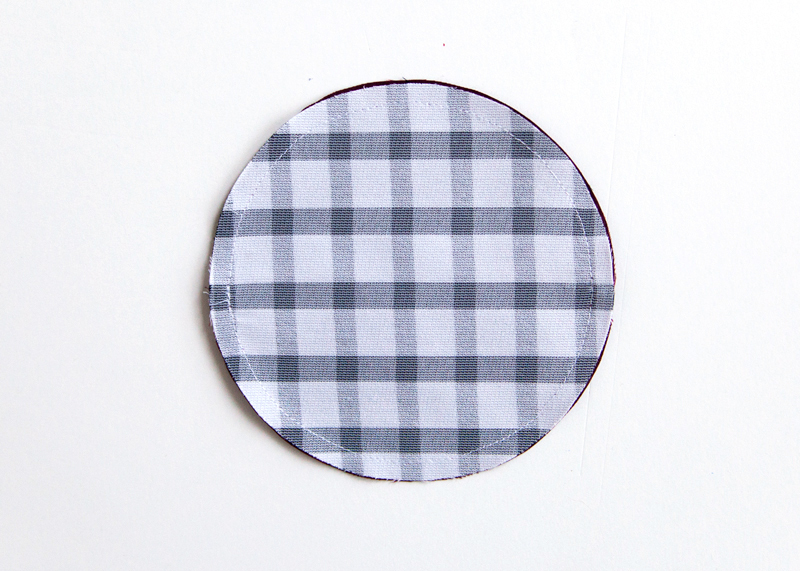 This same technique may also be used to create different shaped patch pockets. Love this!! I can see these pockets on a swingy tunic or dress with the fold down rotated to the side. Hmm, might need to start planning a new project! Just making a cotton tunic that this would be just perfect on. Oh this is so adorable. thanks for the tutorial…a lot of it seemed counter-intuitive until I really sat back and read each step. What a great tutorial! I would love to do this on my next Sorbetto. 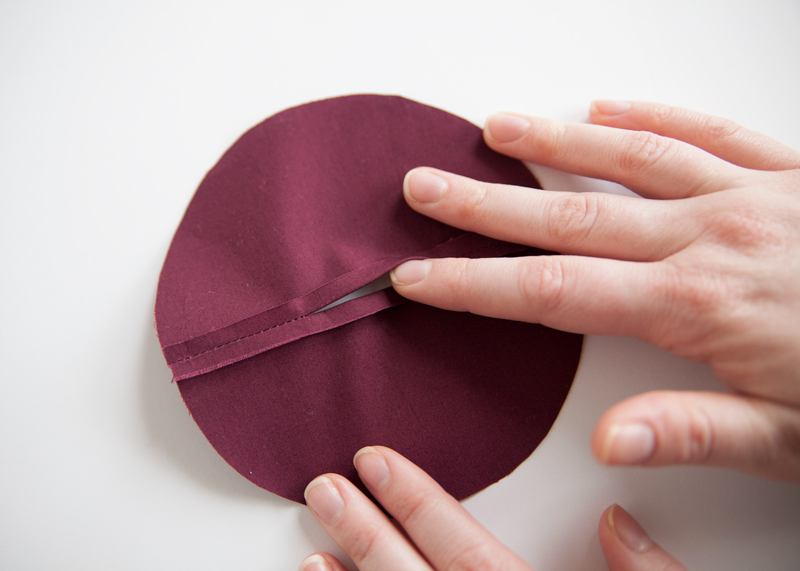 Appreciate the tip to split the lining and use it as the turning point is brilliant — no more wonky edges! Thanks!